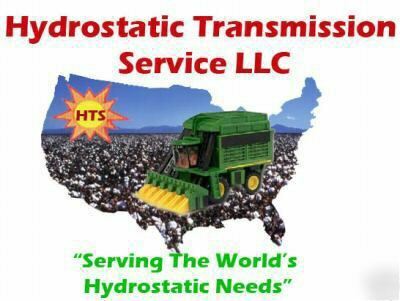 Hydrostatic Transmission Service offers Eaton Hydrostatic 54 series Motor repair for $1250.00 These Eaton hydrostatic/hydraulic Motors or transmissions will be remanufactured using Eaton hydrostatic drive parts, and put back to Eaton Hydrostatic Transmission OEM specs. These remanufactured Eaton Motors will carry a one year warranty and are fully guaranteed. Must Give up to 30 days for repair and service.